Anthony Joshua is the unified heavyweight world champion of our time, not only the best boxer in the world right now but also a genuine clean personality and a big role model in the sports world. Still young and hungry he could very well remain at the top of the boxing world for many years to come. The exceptional punch power of AJ means he has managed 21 knockouts in 22 wins unbeaten making the IBF, WBA, WBO and IBO title holder in the man to beat right now. 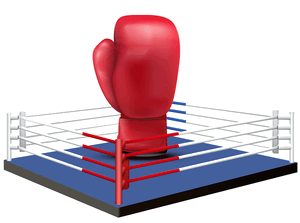 The biggest fights of course attract some of the biggest wagers in sports betting and therefore the bookies take this market very seriously, with many running prices or promotions even at a loss to attract your custom. 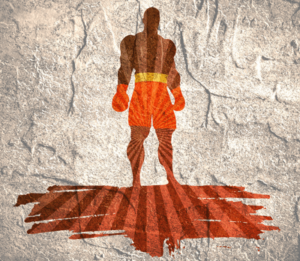 On this page we look at who has the best prices and offers for the latest Josuha fights, we also look at the profile and stats of the man mountain. No one since Frank Bruno has appealed to a more diverse public audience than AJ and this means unprecedented betting value can be found for his bouts. 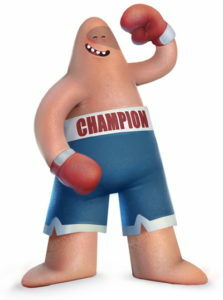 Given the fact that Anthony Joshua is the fighter that everyone wants to be taking on right now, there was a lot of speculation surrounding who his next fight would be against. In the wake of AJ’s technical knockout win over Alexander Povetkin in September last year the talk of who he’d go up against next began to take shape, with many feeling as though it was likely to be one of either Deontay Wilder or Dillian Whyte. Tyson Fury’s decision to come out of retirement also meant that his name was one of those bandied about, though no one really knew who Joshua’s people would decide was the right opponent to go for next. The man himself spoke after the match and said, “If I had a pecking order, it would be Wilder, Dillian [Whyte] and then Fury”. Yet in the end it was announced that the holder of the WBA, WBO and IBF heavyweight titles would go up against Jarrell Miller, whose name was never really part of the conversation in the immediate aftermath of the win over Povetkin. 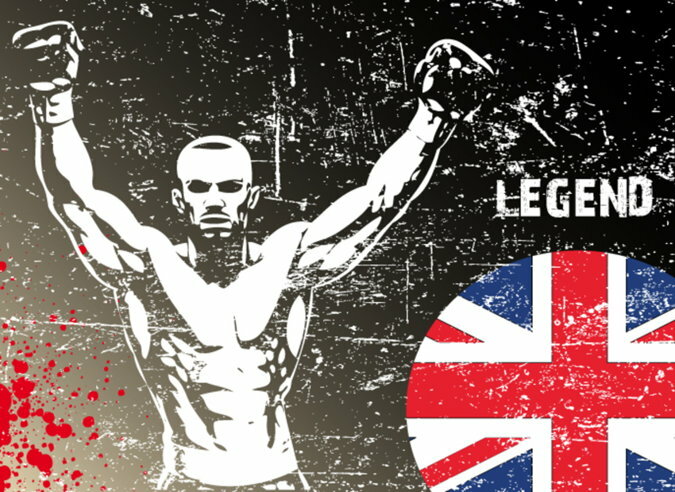 It will be the first time that Joshua has fought in the United States, with his previous 22 bouts coming on British soil. The question then becomes, who is Jarrell Miller, what is the fight for and what comes next for AJ? With Miller’s people preparing a bout for their man at Madison Square Garden against the WBA ‘interim’ champion Trevor Bryan, few people imagined that he’d be the man that AJ’s people would pick to take on the world champion in his first US bout. 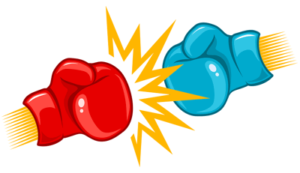 They’ll be going head-to-head at the start of June, however, which begs the question as to what they’ll be fighting for. Anthony Joshua is currently the holder of the WBA, IBF, WBO and IBO titles. ‘Big Baby’ Miller, meanwhile, won the interim WBA-NABA and vacant WBO-NABO heavyweight titles when he defeated Bogdan Dinu on the 17th of November last year. It’s fair to say that Miller isn’t really bringing anything worthwhile to the table, unlike his opponent. There’s certainly an argument that they’re fighting for more than their titles, however. Miller has been given a shot at Joshua’s titles in a manner akin to something from the movies, saying himself, “The way I got here is unconventional, something out of a fantasy book. I worked hard for this, hard. Ground it out. I got to go to war”. He’s hoping that he can prove the doubters wrong and cause AJ some problems. The Englishman, meanwhile, is looking to further his profile by kick-starting his career in the US with a convincing win over a man heavier than any other opponent that he’s faced to date. It’s fair to say that most of those in the world of boxing are seeing Anthony Joshua as the clear favourite. That’s certainly the opinion of the fight analyst for NYFights.com, Hamza Ahmed, who mentions AJ’s ‘experience’ and ‘pedigree’. He says that Miller stands a chance if he can make it to round 9 unscathed, but that Joshua’s uppercuts on the inside can do the American some damage. Bernd Bonte, an executive with Team Klitschko, believes that Miller’s punch is over-rated and that his footwork is too slow to cause Joshua any real problems, opting for a knockout from AJ within 8 rounds. That’s not the same as the thoughts of former world champion George Foreman, who thinks AJ could take some punches to the body from ‘Big Baby’ Miller but will still win it over 12 rounds. One dissenting voice comes in the form of Greg Leon from BoxingTalk.com, who believes that Miller might well out-work Joshua over the course of the 12 rounds and win it on points. He thinks that if AJ doesn’t take care of business early on then he might find his 320 pound opponent can make him work and show himself to be the hungrier of the 2 men. What’s Next For AJ If He Wins? If AJ wins, as most of the experts are predicting, then the natural question is about what comes next for him. The answer will almost certainly come in the form of either Deontay Wilder or Tyson Fury, who are in negotiations to arrange a rematch of their December 2018 bout that ended in a split draw. Joshua questioned why Wilder declined the opportunity to fight him in April and unify the belts, suggesting that he’d gone for the ‘easy touch’ of a fight against the Gypsy King. The 2 fighters were in negotiations over a bout but they broke down, leading Joshua to set up the fight with Miller instead. 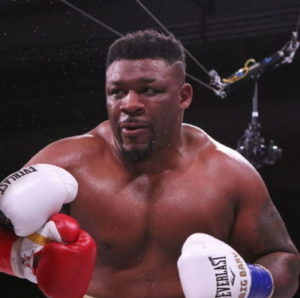 Born in Brooklyn, New York in 1988, Jarrell Miller was attacked on the streets at the age of 14 and took up Muay Thai in order to learn how to defend himself. He made his professional debut against Darius Whitson as a 21-year-old in 2009, 2 years after he was a losing finalist in the New York Golden Gloves Heavyweight tournament as an amateur. 2007 was the same year that he enjoyed a breakout performance for the New Jersey Tigers in the World Combat League as a kickboxer. Whilst kickboxing was where Miller began his fighting career, it was boxing that saw his career develop. After making his professional debut in 2009 he’s gone on to fight 24 times, with just one draw on his record to date. Critics of him would argue that he hasn’t really taken on any of the bigger names in the sport during that time, but he won the interim WBA-NABA heavyweight title in 2016 with a win over Donovan Dennis, followed it up with a WBO-NABO win against Nick Guivas and then defended the titles against Fred Kassi. The only match he hasn’t won since turning pro was against Joey Dawejko in 2013, with all three judges scoring it 37-37 in a 4 round bout. It’s worth noting that Miller was deducted 2 points for pushing, which might have seen him boasting a 100% record heading into his match with Joshua if he hadn’t done so. He was scheduled to fight Fres Oquendo in November of 2018, with Miller’s people believing that he would have to go down the mandatory challenger route if he wanted to get a fight with Joshua. Oquendo pulled out of the fight, with Bogdan Dinu stepping in to replace him and before getting knocked out in the 4th round. Born in the UK on the fifteenth of October 1989 but raised in Nigeria until he was twelve, Anthony Oluwafemi Olaseni Joshua has become one of the best-known boxers in the world. Perhaps what is most remarkable about his rise is that he only started boxing at the age of eighteen when Ben Lleyemi, his cousin and a professional boxer in his own right, suggested that he take it up. Sufficed to say that his success since then has proven his cousin’s suggestion to have been a worthwhile one. A natural athlete from an early age, he showed promise in both sprinting and football but chose not to pursue a career in either of them. Joshua’s mother, Yeta, was Nigerian and his father, Robert, was English but of Nigerian and Irish descent. Having travelled to his ancestral home at an early age, Joshua returned to Watford when his parents divorced in 2001. He was midway through Year Seven of school at the time, but he didn’t allow the disruption to affect his life to any real extent. Here’s a look at his story. Despite only starting boxing relatively late in his youth, Anthony Joshua was a quick learner at the sport thanks to the coaching he received at Finchley Amateur Boxing Club in the Barnet area of North London. He won his first tournament two years after joining when he picked up the Haringey Box Cup, retaining it the following year. Unsurprisingly, those trophies gave him a taste for winning and in 2010 he fought what was just his eighteenth bout but saw him victorious in the senior Amateur Boxing Association Championship. On the back of that, the then twenty-one-year-old was offered his first professional contract, which was worth £50,000. It was an easy decision for him, though, later saying, “Turning down that £50,000 was easy. I didn’t take up the sport for money, I want to win medals”. Winning medals was something that he was learning how to do, defending his ABA Championship title in 2011. Whilst he was known domestically at that stage, it wasn’t until 2011 that Joshua began to earn respect in an international sense. Having travelled to Azerbaijan to take part in the World Amateur Boxing Championships in Baku, he beat the World and Olympic champion, Italian Robert Cammarelle. 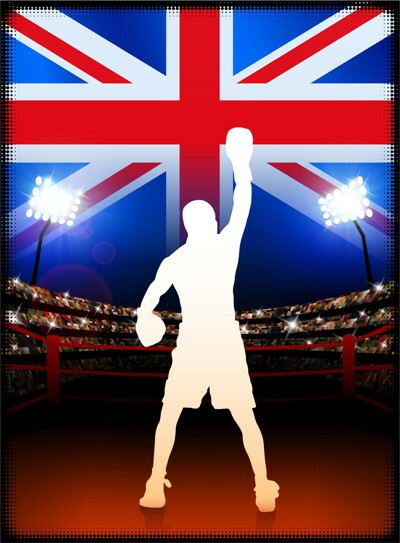 The domestic success that Anthony Joshua enjoyed in 2010 saw him invited to join the GB Boxing team and he soon defeated Amin Isa to become the British amateur champion at the GB Amateur Boxing Championships. After defeating Cammerelle in Baku, Joshua also beat Erik Pfeifer on his way to the final and in the process secured a place in the 2012 Olympic Games, which were due to be held in London. At the same time, he was also named by the Boxing Writers Club of Great Britain as the Amateur Boxer if the Year. Despite that and the silver medal won at the WAB Championships in Azerbaijan, Joshua was still a novice when it came to international boxing when the 2012 Olympics got underway. Perhaps one of the most controversial moments of Anthony Joshua’s career to date occurred in the last sixteen bout during the Olympics when he went up against Erislandy Savón, the Cuban boxer who was ranked number four in the world by the AIBA at the time. The home boxer was awarded a 17:16 win by the judges after three hard-fought rounds, with many believing that Savón should’ve won but that the home crowd had swayed the decision. Regardless, it set up a quarter-final bout with Zhang Zhilei, who had won the silver medal at the Beijing Olympics in 2008, with Joshua dropping him in the second round. 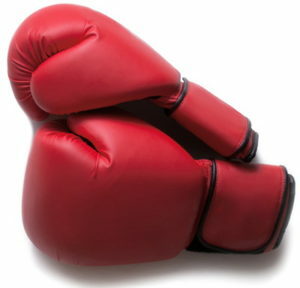 He took on the Kazakhstani boxer Ivan Dychko in the semi-final, winning 13:11. The final saw him come up against a former foe in the shape of Roberto Cammarelle. At the time, Cammarelle was the reigning Olympic Champion and had twice been World Champion, so it was little surprise when he raced into the lead thanks to scores of 6:5 and 13:10. Joshua had a decent third round, however, and in the end the judges called it 18:18 in a decision that critics once again felt was a bit of a ‘home decision’. His gold medal at the 2012 Olympics earned Joshua an MBE in the 2013 New Year Honours. Joshua turned professional in July of 2013 when he signed with Matchroom Boxing. He fought nineteen times in the following three years and remained undefeated during that time. He defeated Charles Martin in 2016 to lift the Heavyweight belt, retaining it when he beat Dominic Breazeale in the same year. In December 2016 he fought Eric Molina and retained the title once more. Perhaps the biggest fight of Joshua’s career to-date came in April of 2017 when the former Olympic gold medalist went up against Wladimir Klitschko at Wembley Stadium. At the weigh-in, the Ukrainian came in at 240 and a quarter pounds, whilst Joshua was 250 pounds. In the fight, both men gave everything in front of ninety thousand people and the Englishman won by technical knockout in the eleventh round. Even without the knockout, Joshua was ahead with two of the judges. As a professional, Anthony Joshua has fought twenty-two times to date and has won twenty-one of them by knockout and the remaining one by decision. Since fighting Klitschko he has taken on Carlos Takam, Joseph Parker and Alexander Povetkin, though the big fight that he wants is against Tyson Fury, who he called out after his win in Wembley back in 2017. In September 2018, The Ring, the Transnational Boxing Rankings Board (TBRB) and BoxRec all ranked Joshua as the best active heavyweight in the world.